Purchased the affordable deal of a 20-Something Gore / Whiteface season pass this year. Headed up to have my photo taken, pick up the pass, and try a few runs. Commonly referred to as “Spring Conditions” although it’s early winter, there were some bare spots and built-up man-made snow in areas. Definitely a good first day to try out my new skis and poles. This entry was posted in Skiing on December 6, 2015 by Devin. 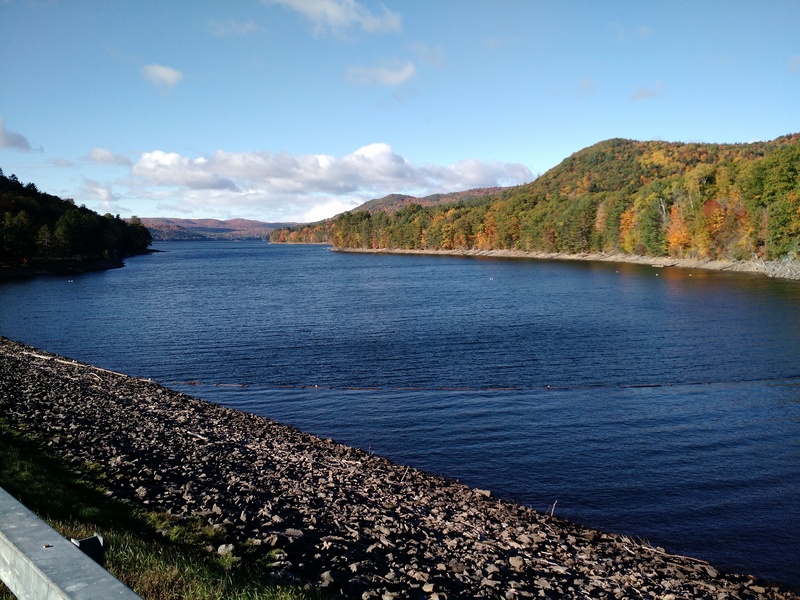 After running down Spruce Mountain I drove north over the Conkingville Dam, which is responsible for the Great Sacandaga Lake. 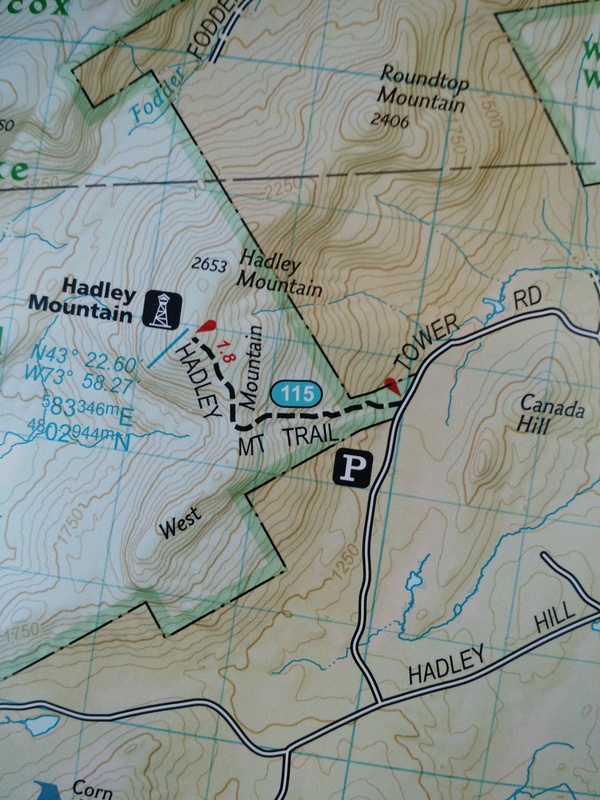 Then on up to the Hadley Mountain trailhead. The parking lot was beginning to fill. I quickly started the climb so I could be alone during my ascent, and ended up only passing two hikers on the way up (many more descending however). 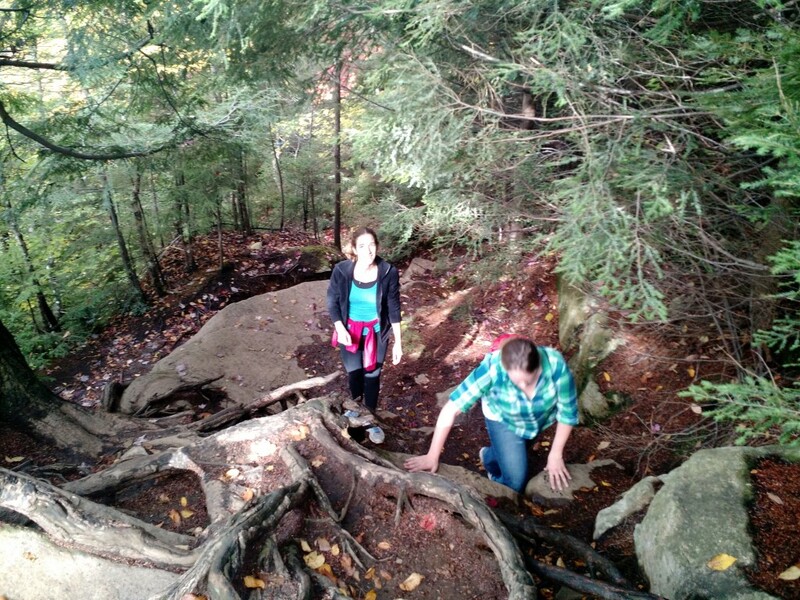 The climb is primarily moderate slab incline for the first couple hundred meters, which is not my favorite. Then moderate+ grade of rocky incline. Eventually it plateaus for a while, before another moderate climb to the top. Passed many short cliffs which could likely be bouldered, although the first edition of Adirondack Rock does not document them. Soon you hit the pines and the wind becomes apparent and layers are added. 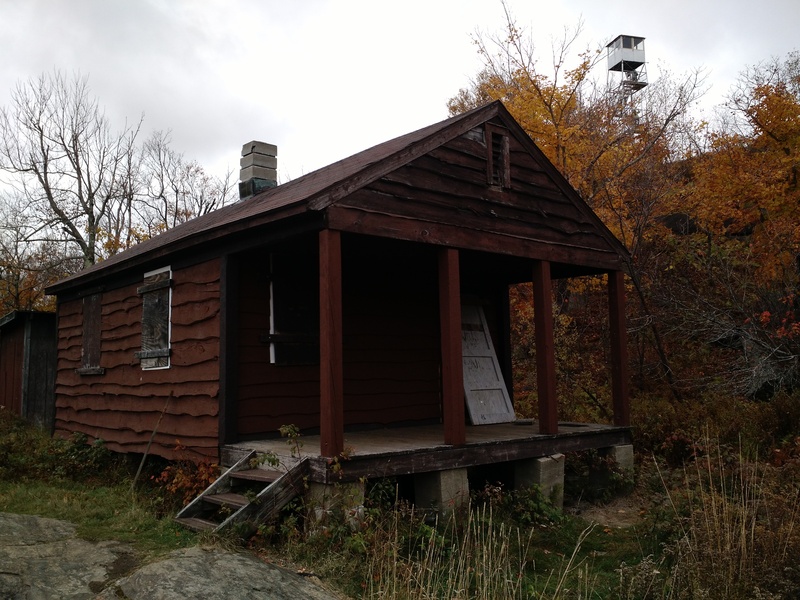 There’s a hut and outhouse at the top, as well as an old sort of underground dwelling which I did not climb into. 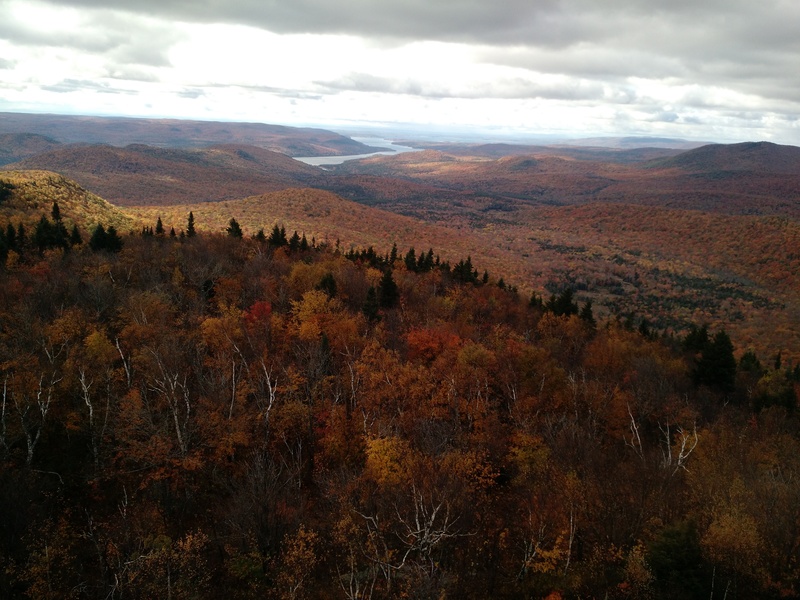 The view from the summit and from the fire tower is spectacular albeit cold and windy. The firetower hatch had a locked padlock, but was not engaged into the hatch so I could access the cabin although the pexiglass hinders the view. Over looking to the Sacadaga. The summit allowed me my first observed snowfall of the season! 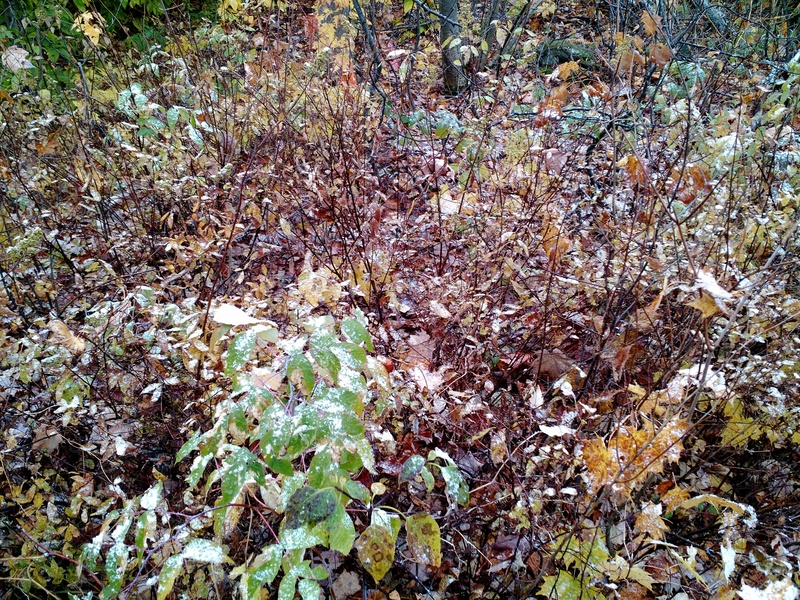 It came down a few times while I was on the summit, and I saw more sleet on the descent. My only complaints about this hike is it’s popularity and the terrain does not allow for a running descent. 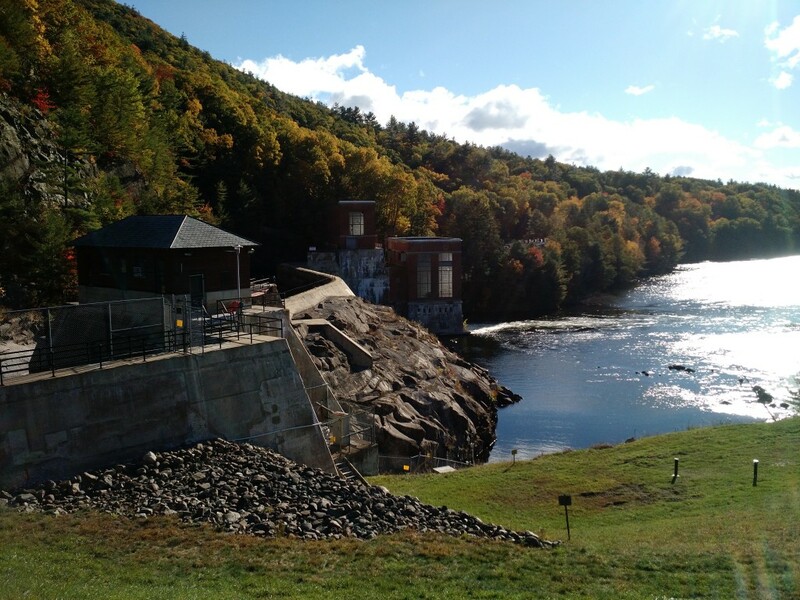 This entry was posted in Hiking on October 18, 2015 by Devin. 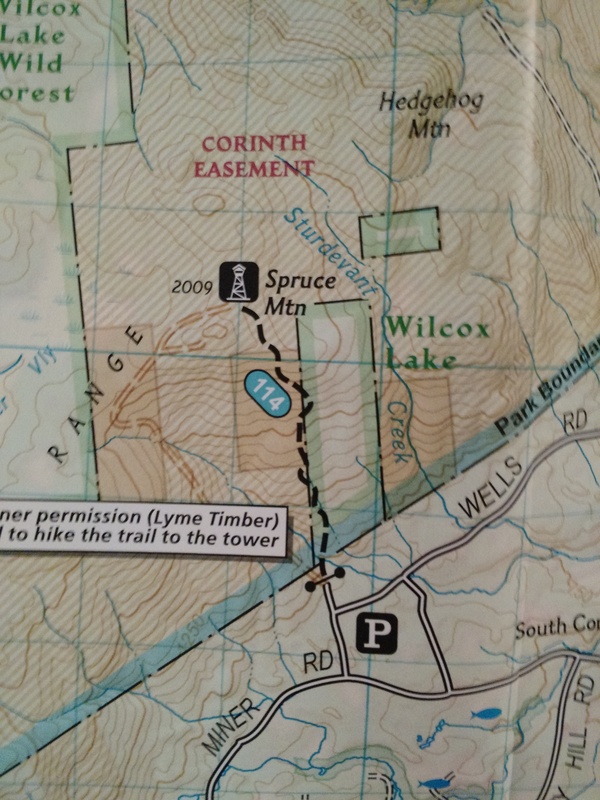 If my sources are correct, Spruce Mountain was previously accessed through a private land trail requiring landowner permission. 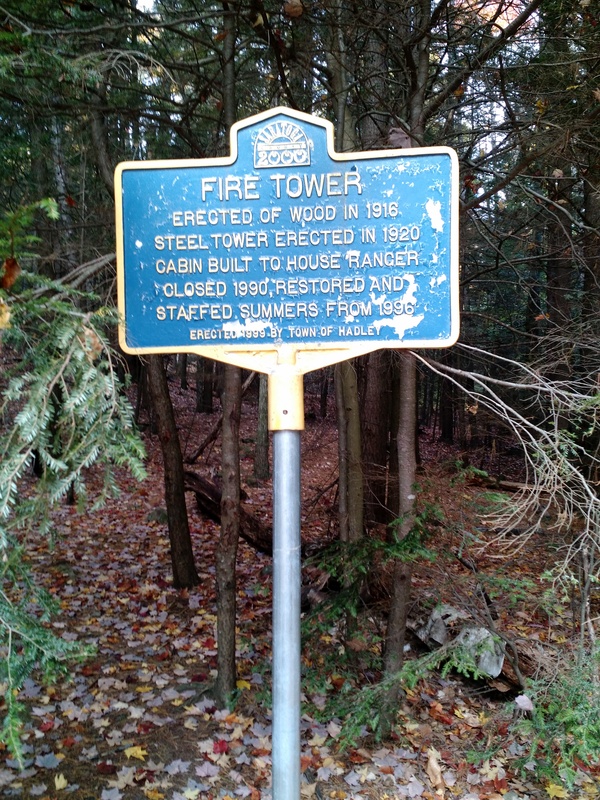 The DEC recently cut a new trail on public land allowing public access, and re-opened the tower. A such the National Geographic map is outdated. I arrived around 08:00 and hunters were parked at the entrance. 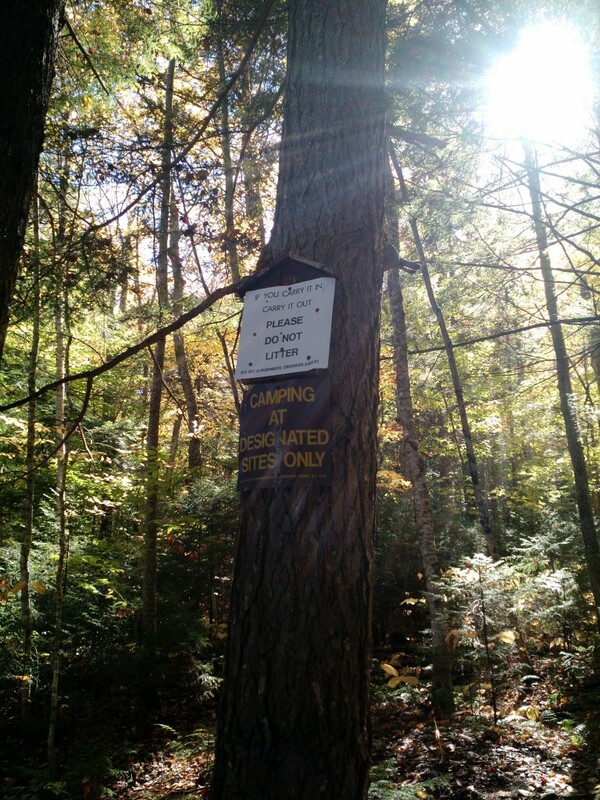 I was warned there were many hunters in and around the trail, but I encountered none after leaving the trailhead. The trail is obviously new and easily lost at times. It’s a moderate to difficult grade at times, but over good terrain. I was the sole hiker at the summit, which allowed for a great moment of solitude atop the tower. 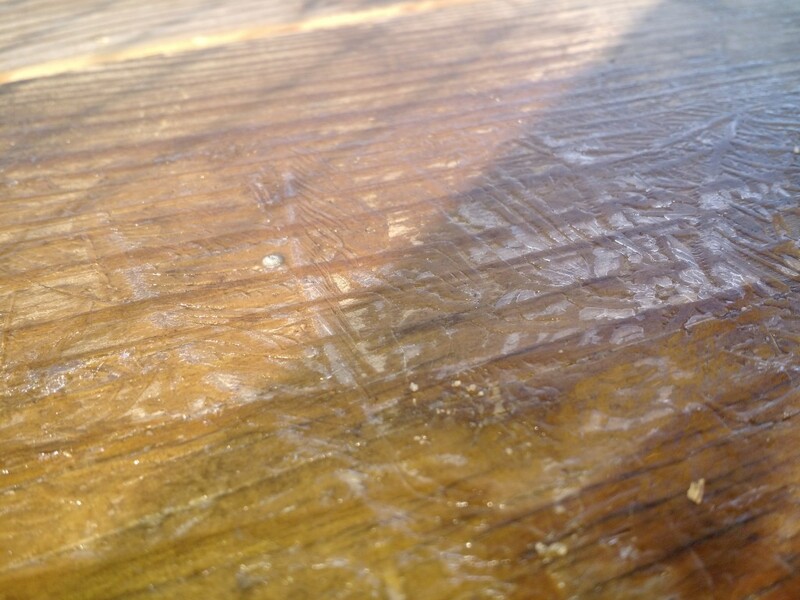 It was windy and chilly; with ice on the wooden tower stairs. 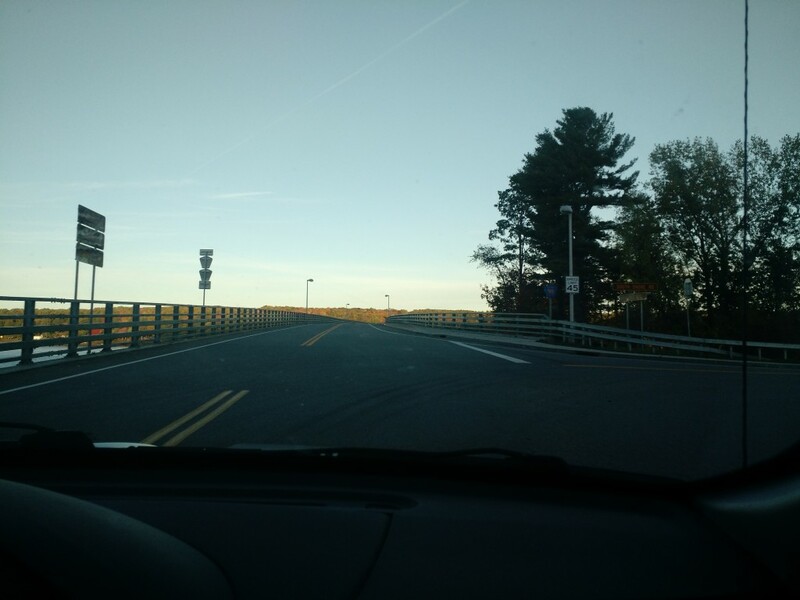 There is a great view of Saratoga Lake, but I was unable to get a good photograph. 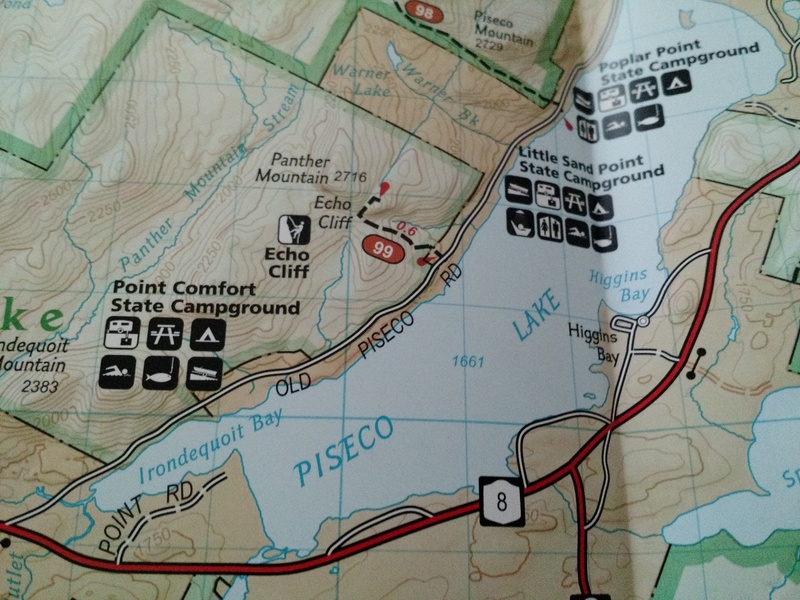 Two camp sites are in there by the lake, both with fire pits. After that we headed down to the Canada Lake Store for lunch, and ate on the docks. A fun day! 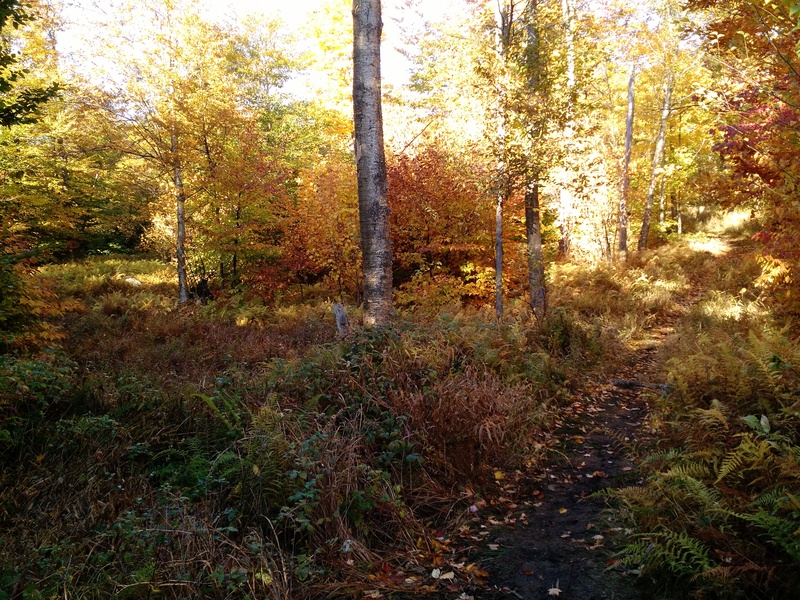 This entry was posted in Hiking and tagged ngmap744 on October 11, 2015 by Devin. 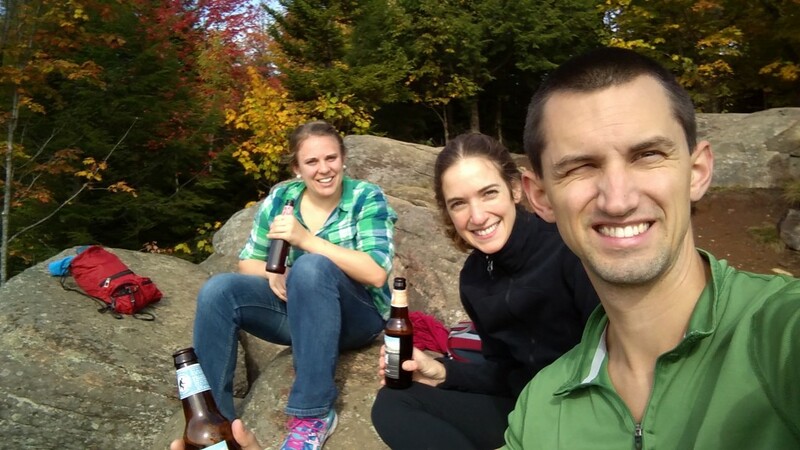 Alex was up for the weekend and Jenn had contacted us wanting to get outside, so we all decided to meet in the Piseco Lake area to do a few hikes. We rose early and drove through Lake Pleasant stopping at Sunrise Diner for breakfast. 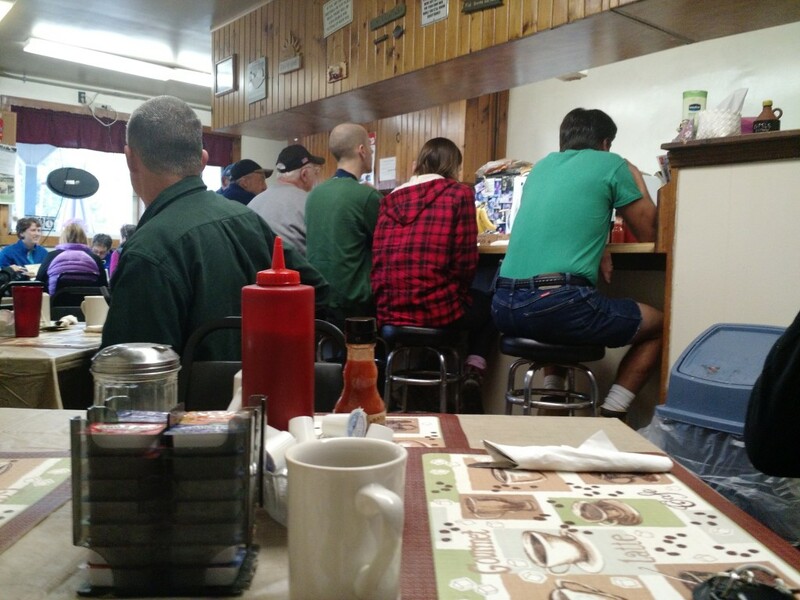 Two coffees, two eggs and toast, two eggs, homefries, and toast, and yoghurt and granola = less than $13. Yum! With no service we chose a place to meet Jenn and drove down the road attempting to find the Panther Mountain trail entrance. It’s just West of the entrace to Little Sand Point campground, #99 on National Geographic Map #744. The hike is a steep 0.6 miles with a spectacular view at the summit. We of course enjoyed a summit beer. Be mindful on the descent, one in our party slipped and we passed another who limped halfway down after a slip. At the end we walked through the camp site and down to the water. 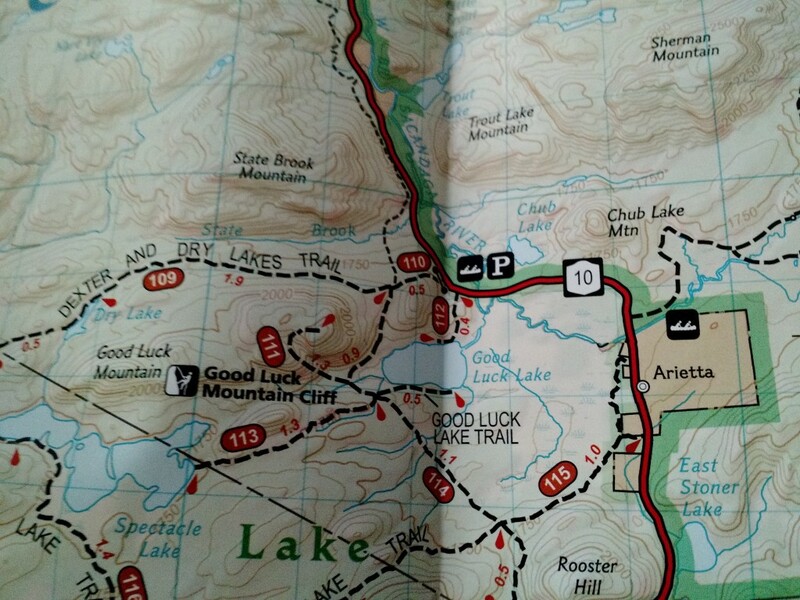 Next, we headed off to Good Luck Lake. Moving back to upstate NY brings many opportunities, one of which I’m hoping to make a lot of…and that’s the Adirondacks. Searching online I found mostly confusing, sporadic information across numerous sites. So I bought maps; the national geographic ones. And I’ve thought, “Should I do the 46?” The 46 high peaks, that is. Well, one would need a log, too? So a five minute dedication had this WordPress installation running. We’ll see where it goes; perhaps nowhere. If nothing else it’ll be an additional unorganized, sporadic chit of uselessness that may one day disappear. Hooray! 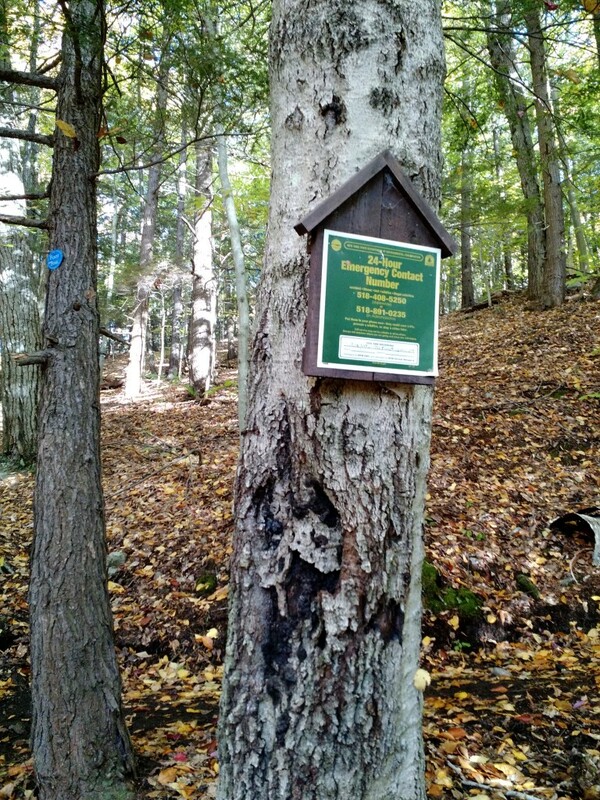 This entry was posted in Hiking on October 8, 2015 by Devin.